Best Shower Filter-The Top 15 Water Filters that Are Worth the Money! The shower filter is undoubtedly one of the most important parts of your shower. It filters out dirt and other unwanted substances from the water to provide you with a clean stream. It is for this reason that you have to be very selective when you buy your shower water filter. Choosing the best shower filter is crucial in ensuring that no harmful substances can touch your skin and hair when you take a bath. Here are some of the best brands on the market today! Plus a buying guide to help you pick the right shower filter for you. The Top 15 Water Filters that Are Worth the Money! 1 The Top 15 Water Filters that Are Worth the Money! 2 Why Do You Need a Good Shower Filter? 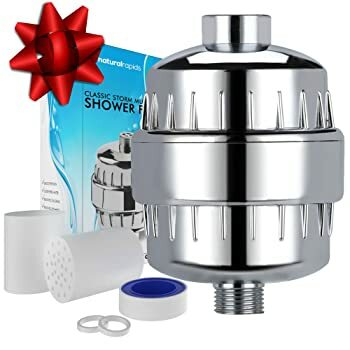 3 How to Choose the Best Shower Filter? With AquaBliss known for being one of the best shower water filters, it is able to effectively and completely purify water at any temperature. It effectively removes all kinds of harmful substances and softens the water. This is definitely the best shower filter for hard water. It quickly removes chemicals like metals and chlorine. It can completely remove fungi, mold, algae, and bacteria. It has a multi-stage filter that combines calcium sulfite and activated carbon. 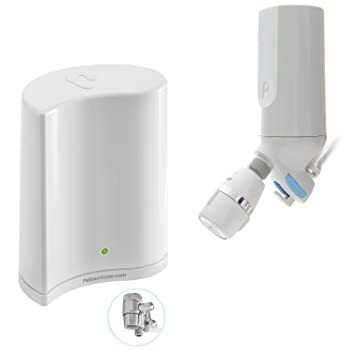 It has universal connections for easy installation. The filter cartridges are easily replaceable. 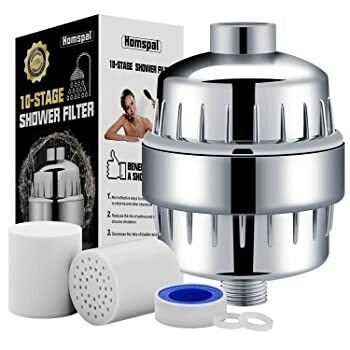 This Homspal shower filter makes use of the 10 stage filtration feature that includes a steel mesh, KDF 55, calcium sulfite, PP cotton, medical stone, mineral balls, alkaline balls, magnetic stone, ceramic balls, and coconut carbon. This unique blend makes it the best shower filter for most homes. 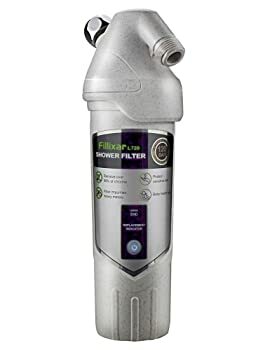 Its 10 stage filtration combines the best water filtration methods all in one. It cleanses the water efficiently. It comes with 2 cartridges, 2 silicone seals, and 1 filter housing. Culligan is one of the biggest names in the water filter industry with the WSH C125 being one of the best shower head filters. It can easily reduce all types of chemicals that go through your water system. Its filter cartridge also has a long shelf life that lasts for 6 months. 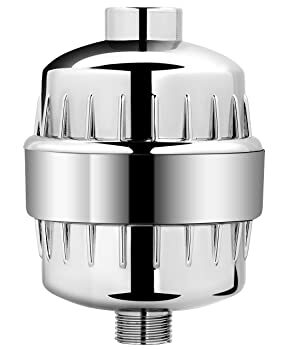 It is one of the best shower head to install in your bathroom if you have a soaking tub or a walk in tub. 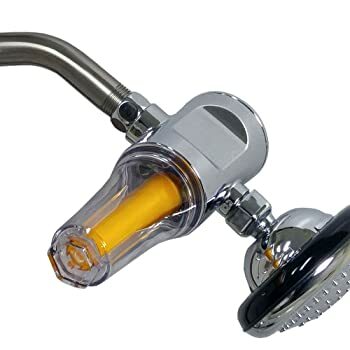 It is a wall mounted shower head with a power of 2.0 gallons per minute. It has an anti-clog nozzle feature. It offers 5 spray settings for your preference. It has a WHR-140 filter cartridge for full efficient and quality filtering. It has a patented bacteriostatic feature to block the growth of bacteria in the water. Fillixar’s chlorine shower head filter is able to remove 99% of all chemicals that run through the water system. It is undoubtedly one of the best chlorine shower filters on the market. Its power filtration feature lets it remove 99% of any toxic substance easily. It is also the best in removing chlorine from the water to fully clean it. It has an upflow design to keep the water flow steady. This 10 stage vitamin C filter focuses more on healthcare and well-being. It is made of a 10 stage dechlorinating filter that has vitamin C for complete purification. It is one of the few good health care shower systems on the market. 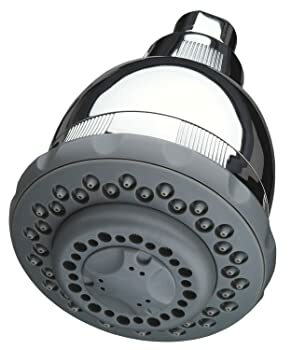 It is a top quality shower head with 10 stage filtration technology. It is made of premium metal. Many consider this as the best vitamin c shower filter. It removes every kind of unwanted substance from the water. It is very easy to install and fits any shower type. It includes a free gift box with teflon tape and five shower caps. Natural Rapids is one of the most trusted brands when it comes to shower filters. It’s known for its high-powered filter that takes away chemicals and skin irritants. Particularly, the High Powered Universal shower filter is one of the strongest. It is also both rustproof and leak proof. It is great for cleaning water that you use for your pets and babies. It is a great addition to your baby bath tub. It is able to remove chlorine and heavy metals. It is effectively able to take out the bad odor of water. Suncoo water filter has a multi stage protection feature to ensure water quality. It completely removes chlorine, bacteria, and sediments. It also ensures the water has a high oxygen level of pure cleansing. It has a multi-stage filtration with KDF55 and calcium sulfite. It is compatible with any overhead shower. It comes with an extra filter cartridge replacement. It has a filter lifespan of 13,200 gallons. This 10 step filter works for water at any temperature. It works very well and makes hard water soft. It also helps remove all types of metals and chemicals in the water and eliminates bacteria. It specializes in removing scales, bacteria, and mold. It has a 10 stage filtration system. It has one of the highest output water pressure that filters can have. Aquasana is known for having a natural coconut shell filter. This organic filter feature is ideal for cleaning out chlorine and other chemicals that are detrimental to health. It also helps enhance the pH balance of water through natural production of copper and zinc. It has a special coconut shell carbon and copper-zinc filter. It can take the water at any temperature. It includes a top quality shower head that has massage settings. Its up-flow design helps keep water pressure strong. 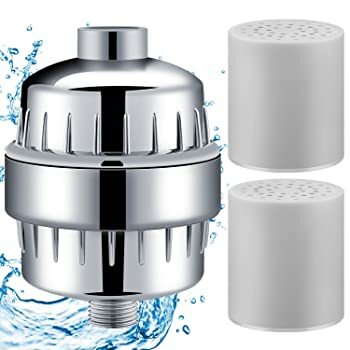 The Berkey shower filter works on the concept of oxidation-reduction or redox where it cleanses chemicals in the water to make it a more water soluble chemical. This is especially true to chlorine where Berkey filters turn it to harmless chloride. The filter can reduce 95% of chlorine. It has a chemical absorption feature. It has a back flush attachment to decrease chances of clogging. It can last for one whole year. It comes with a showerhead with massage settings. 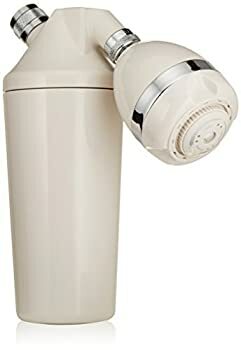 The Jonathan Product beauty water purifying system makes use of a 2 stage filtration system that purifies dirty water. It cleanses the water and balances the pH, making it healthier for the skin and hair. It removes all kinds of metal from tap water. The filter helps replace the metals with potassium ions. It effectively balances pH levels in the water. The Sonaki Vitamin C shower filter is effective in reducing 99.9% of chloramines and chlorine. The filter has a very long lifespan that lasts up to 3 months. It is also very durable, being made of resin and brass. It softens and cleanses water effectively. This filter can fit in your existing shower easily. It includes vitamin C in the filter, making the water cleansing more effective. 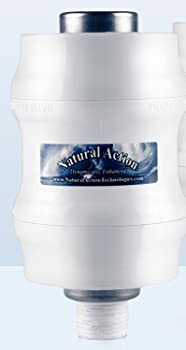 The Natural Action mini water filter is known for being compact and easy to use. Since it is compact, it can work on any shower. Even the showers that have a shower caddy around them. 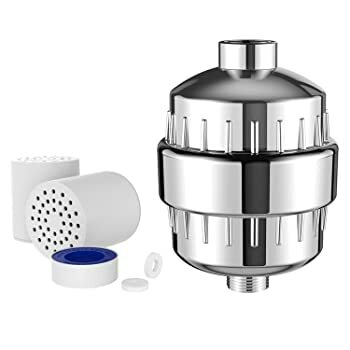 It can be installed easily by simply taking out the existing shower head and putting this filter on. It is able to neutralize chemicals like chlorine, arsenic, and even bacteria. It only needs a one-time installation. 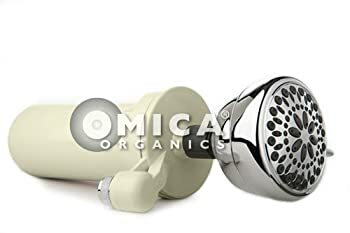 The Omica Organic water filter makes use of a redox feature to transfer electrons to the water. This converts the chlorine chemicals into chloride, which is a chemical that is not harmful to the body. The organic filter converts chlorine to chloride. It can remove any kind of contaminant to cleanse the water. It has a unique design for headroom. This shower filter is able to remove 96% of chemicals naturally. While most filters make use of artificial products in its filtration system, this one uses natural products. This way, your water can be fully and organically cleansed. It can filter out the majority of chemicals found in water. It regulates the pressure of the shower. It has a unique and patented design. Why Do You Need a Good Shower Filter? It helps make the water odorless. It helps you have better water for better skin and better hair. Read more: Simply The Best 12 Handheld Shower Heads Ever! 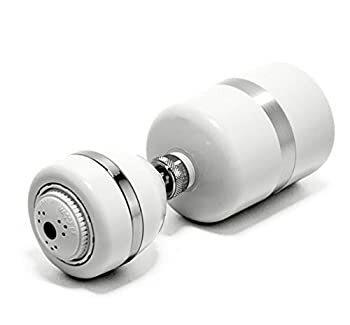 How to Choose the Best Shower Filter? It’s very important that you get a filter that lasts longer so that you don’t need to keep on replacing it. You can usually see the lifespan of the filter on the box. It is usually measured either in years or in gallons. One question to ask when looking for the best shower filter for you is whether or not the replacement filters are easy to find. Choose the brand that provides easy access to replacement parts. These two types of filters are the best for removing chlorine and other unwanted substances from your shower water. These two kinds are scientifically proven to effectively free your water of chemicals and bacteria or molds. Multi-stage filters like 10 stage filters have more layers of purification for your water. The more stages the filter has, the higher the capacity to eliminate all harmful substances from your water. Of course, it’s always best to pick a reputable brand. The well-known brands are sturdier and have guaranteed quality than lesser known brands. Although big brands are more expensive, they can give you top quality products that yield top quality results. When looking for your ideal shower filter, you can use this guide to help you screen out your options. Look into these factors the next time you are searching for a good shower filter! 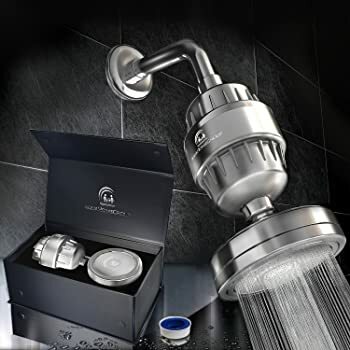 Out of the 15 well-known brands of shower filters mentioned above, the best shower filter is the Luxury Vitamin C + 10 Stage Shower Head Filter. This brand alone already fits into all of the criteria given in the buying guide. 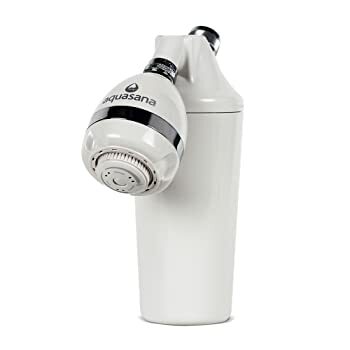 It has a 10 stage purification system to completely cleanse your shower water, which includes KDF55, coconut carbon filtration, ceramic balls, and more. Its filtration also comes with a vitamin C filtration feature to eliminate chlorine completely. The exterior is made of complete premium grade metal which makes it durable. Lastly, it has a lifespan of 6 months, which is good enough for a quality filter such as this. In order to come up with the winner, it was necessary to put the features of each product against each other to see which one had the most to offer. Comparing brands is one of the most effective ways to narrow your choices because it allows you to get a clearer picture of what each brand can give you. Out of the 15, clearly the Luxury Vitamin C + 10 Stage Shower Head Filter had the most to offer.